Not only do bookplates personalize your library, but they also can personalize your journals, diaries, scrapbooks, notebooks, gifts, DVDs, & CDs. art by Cathy Lowmiller. 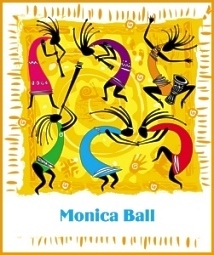 This is from a book by Ms. Lowmiller entitled Chana, An Anasazi Girl (see below). [Note: If Ms. Lowmiller ever sees this, I wish you would contact me.] Condition: NEW package of 12 bookplates made by pacaritambo books. The peel-off label stock is heavier than most bookplate materials and is matte and not glossy. They are as perfect as possible, and we feel the subject matter is much different than you can get anywhere else. 3.3" H x 3.4" W. We can personalize your bookplate (the font is ZurichCalligraphic) - just email us the name. Any questions, click here to email us. 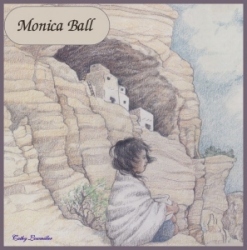 Content: Chana sits in the beautiful ancient Anasazi homeland in the American Southwest. art by Aroas. Condition: NEW package of 12 bookplates made by pacaritambo books. The peel-off label stock is heavier than most bookplate materials and is matte and not glossy. They are as perfect as possible, and we feel the subject matter is much different than you can get any where else. 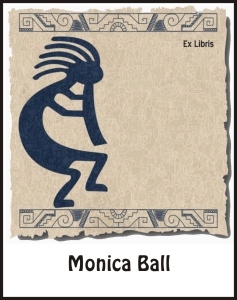 4.0" H x 3.0" W. We can personalize your bookplate (the font is Cancun) - just email us the name. Any questions, click here to email us. 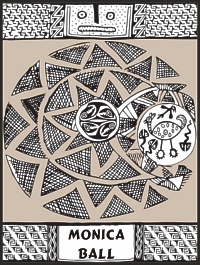 Content: This is a combination of Anasazi pottery artwork with an inset of, at least, Mimbres-inspired design. art by Dmstudio. Condition: NEW package of 12 bookplates made by pacaritambo books. The peel-off label stock is heavier than most bookplate materials and is matte and not glossy. They are as perfect as possible, and we feel the subject matter is much different than you can get anywhere else. 3.5" H x 3.5" W. We can personalize your bookplate (the font is Libra BT) - just email us the name. Any questions, click here to email us. 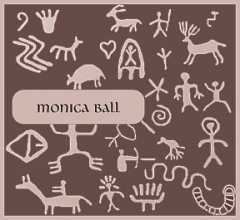 Content: Petroglyphs can be found all over the Southwest from West Texas to California. Some petroglyps represent actual animals (deer, armadillos, etc.) while others are mysterious and seem to depict creatures from outer space (ok, some people think that). All are beautiful and worthy of being preserved wherever they are found. art from a photo. Condition: NEW package of 12 bookplates made by pacaritambo books. The peel-off label stock is heavier than most bookplate materials and is matte and not glossy. They are as perfect as possible, and we feel the subject matter is much different than you can get anywhere else. 4.0" H x 3.0" W. We can personalize your bookplate (the font is Libra BT) - just email us the name. Any questions, click here to email us. 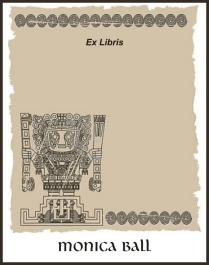 Content: This bookplate is also a design from much of Inca and pre-Inca stonework. This is also from the Gate of the Sun. art from a photo. Condition: NEW package of 12 bookplates made by pacaritambo books. The peel-off label stock is heavier than most bookplate materials and is matte and not glossy. They are as perfect as possible, and we feel the subject matter is much different than you can get anywhere else. 4.0" H x 3" W. We can personalize your bookplate (the font is BinnerD) - just email us the name. Any questions, click here to email us. 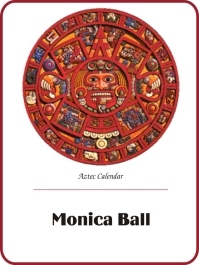 Content: This bookplate is a color representation of the Aztec Calendar symbolic of the ancient culture. art by Frenta. Condition: NEW package of 12 bookplates made by pacaritambo books. The peel-off label stock is heavier than most bookplate materials and is matte and not glossy. They are as perfect as possible, and we feel the subject matter is much different than you can get anywhere else. 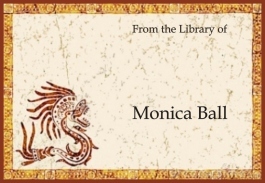 3.0" H x 4.0" W. We can personalize your bookplate (the font is Book Antiqua) - just email us the name. Any questions, click here to email us. 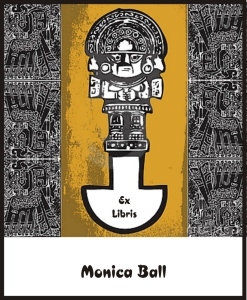 Content: This bookplate is a color representation of the ancient Aztec culture. The interior is a light brown/tan parchment color which does not show up well here. art from a photo. Condition: NEW package of 12 bookplates made by pacaritambo books. The peel-off label stock is heavier than most bookplate materials and is matte and not glossy. They are as perfect as possible, and we feel the subject matter is much different than you can get anywhere else. 4.0" H x 3.0" W. We can personalize your bookplate (the font is ZurichCalligraphic) - just email us the name. Any questions, click here to email us. 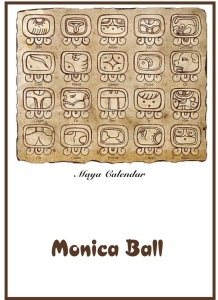 Content: Bonampak is an ancient Maya archaeological site in the Mexican state of Chiapas. 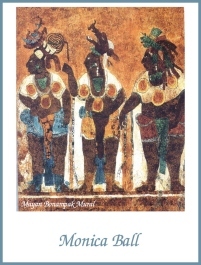 It is well-known for a number of murals, most especially those located within Structure 1 (The Temple of the Murals). The construction of the site’s structures dates to the Early Classic period (c. AD 580 to 800). The paintings date from 790 and were made as frescos, with no seams in the plaster indicating that each room was painted in a single session during the short time that the plaster was moist. They show the hand of a master artist with a couple of competent assistants. The three rooms show a series of actual events with great realism. (Wikipedia). This graphic is of 3 nobles. art by Julioaldana. Condition: NEW package of 12 bookplates made by pacaritambo books. The peel-off label stock is heavier than most bookplate materials and is matte and not glossy. They are as perfect as possible, and we feel the subject matter is much different than you can get anywhere else. 4.0" H x 3.0" W. We can personalize your bookplate (the font is BinnerD) - just email us the name. Any questions, click here to email us. Content: These are "characters" from various Codices (Codex) which were saved from the vengeful fires of Spanish priests and sent to Europe for study and safekeeping. art by Julioaldana. Condition: NEW package of 12 bookplates made by pacaritambo books. The peel-off label stock is heavier than most bookplate materials and is matte and not glossy. They are as perfect as possible, and we feel the subject matter is much different than you can get anywhere else. 2.5" H x 3.5" W. We can personalize your bookplate (the font is Hobo BT) - just email us the name. Any questions, click here to email us. 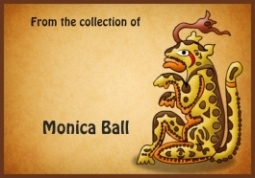 Content: The representation of jaguars in Mesoamerican cultures has a long history, with iconographic examples dating back to at least the mid-Formative period of Mesoamerican chronology. The jaguar (Panthera onca) is an animal with a prominent association and appearance in the cultures and belief systems of pre-Columbian Mesoamerican societies. 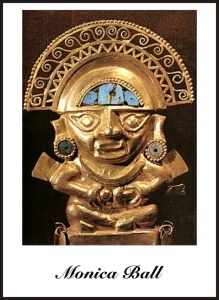 All major Mesoamerican civilizations prominently featured a jaguar god, and for many, such as the Olmec, the jaguar was an important part of shamanism. Shamans often associate the jaguar as a spirit companion or nagual, which will protect the shamans from evil spirits while they move between the earth and the spirit realm. (Wikipedia). art from a photo rendering. Condition: NEW package of 12 bookplates made by pacaritambo books. The peel-off label stock is heavier than most bookplate materials and is matte and not glossy. They are as perfect as possible, and we feel the subject matter is much different than you can get at anywhere else. 4.0" H x 3.0" W. We can personalize your bookplate (the font is ZurichCalligraphic) - just email us the name. Any questions, click here to email us. Content: This beautiful rendering from a photo is used on our front page and depicts what was most likely the beauty of Machu Picchu. art by Airi Pung. Condition: NEW package of 12 bookplates made by pacaritambo books. The peel-off label stock is heavier than most bookplate materials and is matte and not glossy. They are as perfect as possible, and we feel the subject matter is much different than you can get at anywhere else. 4.0" H x 3.0" W. We can personalize your bookplate (the font is CrossiantD) - just email us the name. Any questions, click here to email us. 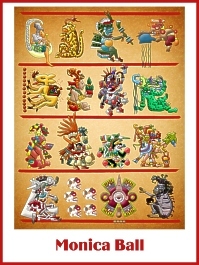 Content: This is a rendering of the Maya Calendar (T'zolkin) from ancient carvings with time divisions. art by Sdmix. Condition: NEW package of 12 bookplates made by pacaritambo books. The peel-off label stock is heavier than most bookplate materials and is matte and not glossy. They are as perfect as possible, and we feel the subject matter is much different than you can get at anywhere else. 4.0" H x 3.0" W. We can personalize your bookplate (the font is Blue Highway Linocut) - just email us the name. Any questions, click here to email us. 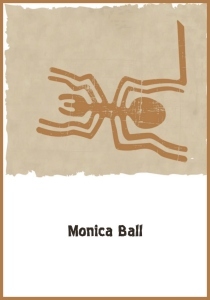 Content: This is a faithful reproduction of the giant spider drawing (geoglyph) from the Nazca Lines on the Nazca Plain in southern Peru. art by Kattalina. Condition: NEW package of 12 bookplates made by pacaritambo books. The peel-off label stock is heavier than most bookplate materials and is matte and not glossy. They are as perfect as possible, and we feel the subject matter is much different than you can get anywhere else. 4.0" H x 3.0" W. We can personalize your bookplate (the font is Blue Highway Linocut) - just email us the name. Any questions, click here to email us. 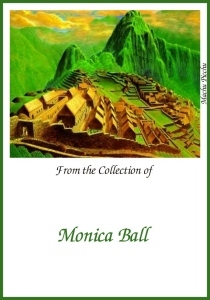 Content: Palenque (Bàak' in Modern Maya) was a Maya city state in southern Mexico that flourished in the 7th century. The Palenque ruins date back to 100 BC to its fall around 800 AD. (Wikipedia). 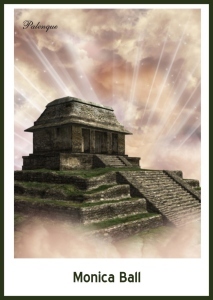 This graphic is of the Temple of Inscriptions. art by I. Skorupych. Condition: NEW package of 12 bookplates made by pacaritambo books. The peel-off label stock is heavier than most bookplate materials and is matte and not glossy. They are as perfect as possible, and we feel the subject matter is much different than you can get anywhere else. 4.0" H x 3.0" W. We can personalize your bookplate (the font is CroissantD) - just email us the name. Any questions, click here to email us. Content: Revered throughout ancient Mesoamerica and parts of South America, the Quetzal is a beautiful large bird of many colors. 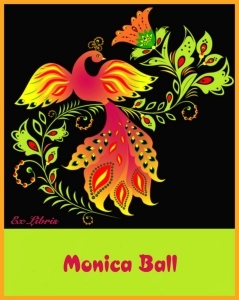 The name is from Nahuatl quetzalli, "large brilliant tail feather" (Wikipedia). This representation is a bit of a "stylized" Quetzal.